I like roundabouts. I ride through a couple each day, in particular the one above on my way to my son's school. The cycle track continues all the way around and you can turn off wherever you like. 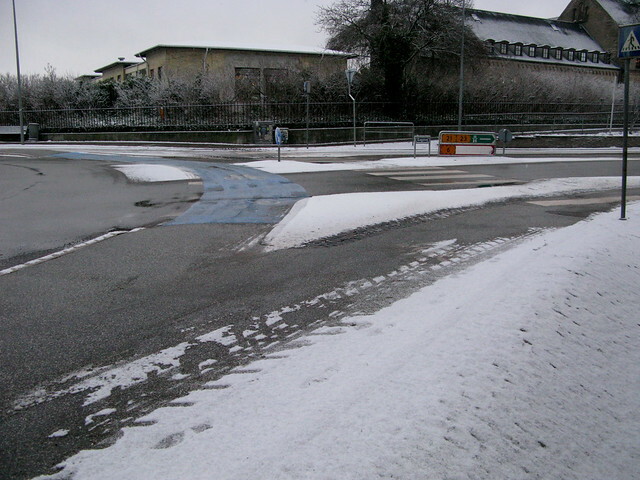 Cars give way, of course, and entering the roundabout involves the same basic rules of right of way as car traffic. 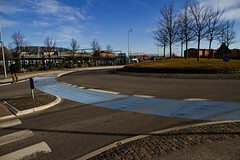 I particularly like this roundabout in Roskilde, 30 km west of Copenhagen. 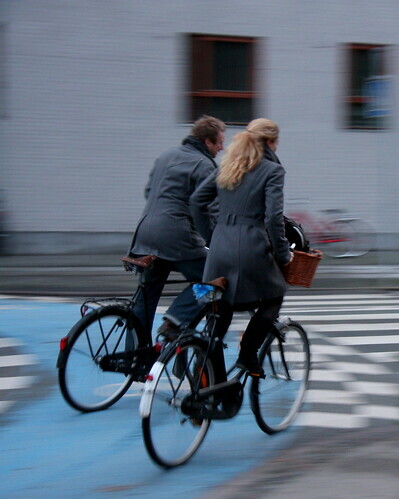 It has double cycle tracks so that if you're merely turning right you don't have to interfere with bicycle users who are continuing around the circle. Or worry about cars bothering you. Here it is in better weather. Infrastructure trivia: a roundabout is called a Keepylefty in Swahili. Here's a smaller roundabout I pass quite often. I like this one. 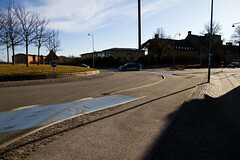 The cycle track is raised up to the level of the cycle track you arrived on- This creates a speed bump for the cars who are entering or leaving the roundabout but lets the bicycle users continue bump-free. 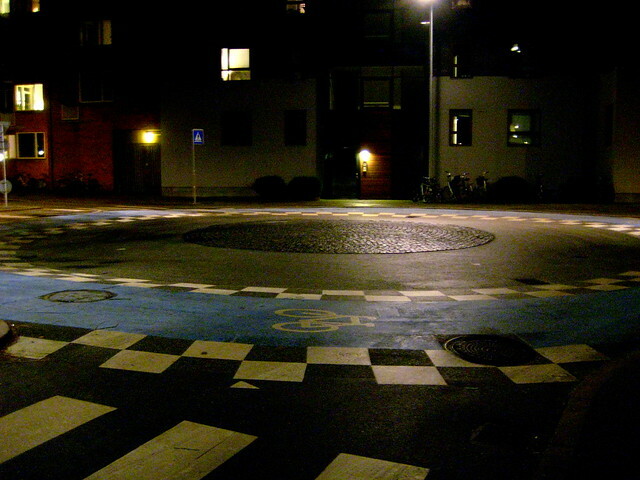 Like most aspects of Danish bicycle planning, roundabout design is a part of our national design and concept guidebook.